First things first : Let's get the Jace from Mortal Instruments cameo in this book out of the way. Here it is -"That stoner dude, Jace, says he hooked up with someone over the summer," Kevin whispers. "But I hear all the pictures he's showing around are really pictures of his half sister. Fifty bucks says there's no girlfriend. "Why am I always recommending the lesser known series? Why is it that some of the crappiest books become the most popular? How is this changed? The only way I know of to fix this is to get on my little soapbox and preach out to the masses on the street (a.k.a. 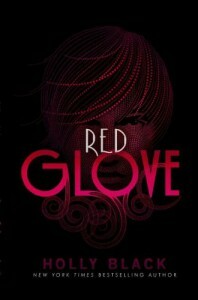 Goodreads).Words can not convey how much I wish people knew about this book series. These books offer up a fun, fresh concept focused around a world of ordinary people gifted with the ability to curse others with nothing more than a simple touch of an ungloved hand.I'm enamored of Cassel, the male protag in this series. He is a basketcase of emotions without being angsty. Tortured would probably best describe him. How could he not be? He's been forced to kill under coersion and manipulation, then had many of those memories stolen. His mom is a total nutbag. His brother ruined his life then forgot about it, which means that Cassel has to act friendly with one of the people who plotted his own demise. The girl that he loves was curseworked to love him, so he can't in good conscience accept her advances without feeling guilty that he's taking advantage. What's a guy to do?One great thing about these books is that there are elements that would appeal to both males and females. All too often, most YA PNR and Urban Fantasy is very much geared to females, focusing solely on the love story. It's not that there isn't a love story in Curseworkers, but moreso that it's not the sole focus. I'm very much rooting for Cassel to get his girl in the end, but still very much engaged in this mafia world of confusion and consequence.Having read this as an ARC galley, it means I'll be waiting a very long time for book 3. This makes me a little bit sad. I can't wait to find out the next chapter for Cassel, Barron and Lila.